The Seoul Metropolitan Government has designated a section of Sejong-ro as a pedestrian-only street, although cyclists will also be permitted. 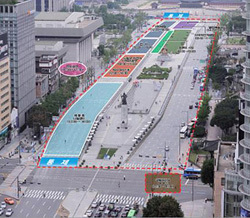 All other vehicles, including public transportation, will be prohibited from using the 550-m strip between the Gwanghwamun three-way intersection in front of the Sejong Center for the Performing Arts and the Sejong-ro intersection on a trial basis beginning recently. 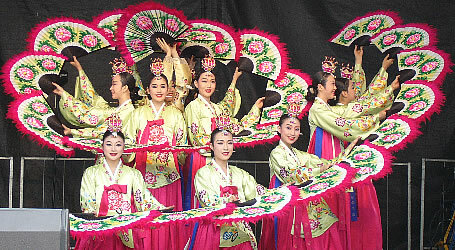 The city government selected Sejong-ro because it is close to a number of palaces and museums and is a main road connecting southern and northern downtown. Another reason is that there are many central government offices and business buildings located there.